A few friends of mine clued me into the gem of a store T.J. Maxx, and apparently, they have this little section with kitchen odds and ends. 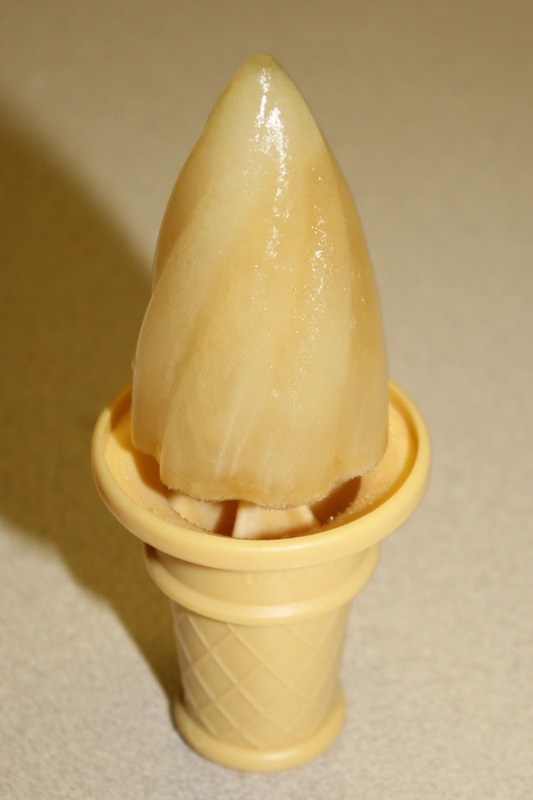 I went to check it out, and found this adorable set of ice cream pop molds, in the shape of ice cream cones. I had been filling up other silicone pop molds with soy yogurt, for my daughter, but they were so messy, because she had to wait until they melted a little bit to be able to move the frozen yogurt up the container, and then it would be a pretty sticky situation. 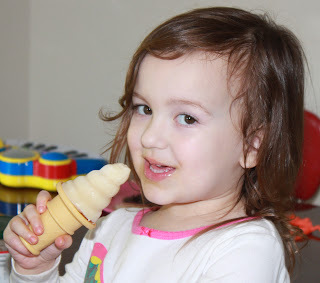 With these, there is a wide base to catch the drips and it just thrills her that it looks like she is eating a real ice cream cone. She has seen kids on cartoons eating ice cream cones and has told me before, "Mommy, I've never eaten an ice cream cone, before." So, this made us both pretty happy. Now, I will say that all I do is get a small spoon and fill up the top part with vanilla soy yogurt, and my husband thinks that the freezing process makes it taste pretty strong once it's frozen, but my daughter does not seem to care one bit. If the taste seems too strong for you, you can always get one of the frozen yogurt recipes that involves adding additional sugar, or perhaps you can use a berry flavor, etc. Also, if your child can tolerate other ingredients, you can always whip up another recipe and throw that in there, as well. However, if your child's diet is highly restricted, like my daughter's, you'll be happy to know that it works with the yogurt, straight from the cup, and it would probably even work with rice yogurt. I even tried it out with fruit juice and it works great. : ) I love the handle, and how it catches the drips in the well at the bottom and my daughter loves her frozen treats, so it's a win-win! 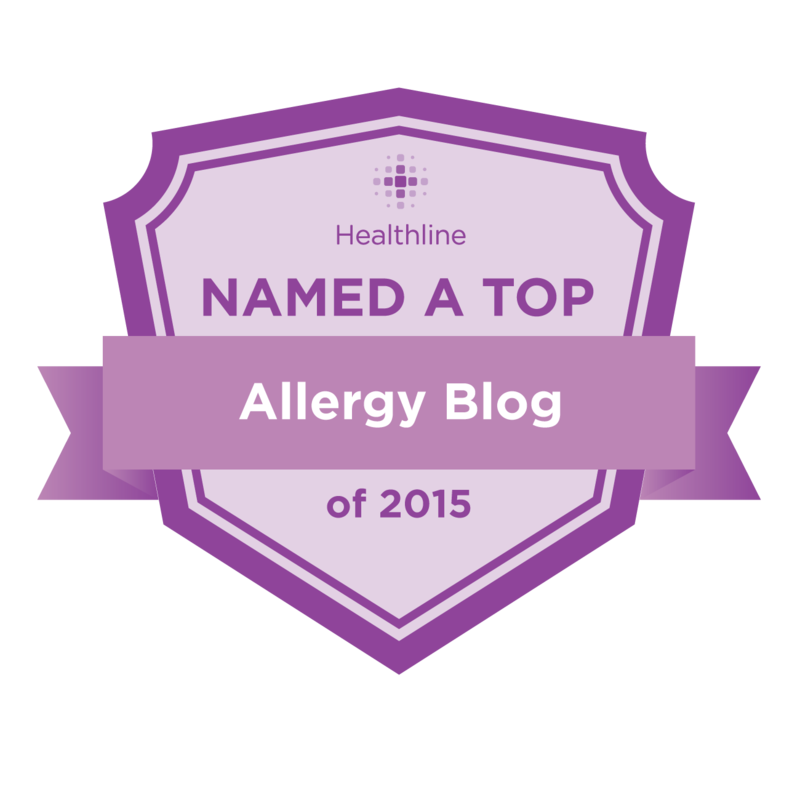 Top 25 Food Allergy Mom Blogs - Please Vote!